Grassley said the frivolous legal actions taken by these trolls is costing U.S. businesses and consumers billions of dollars. 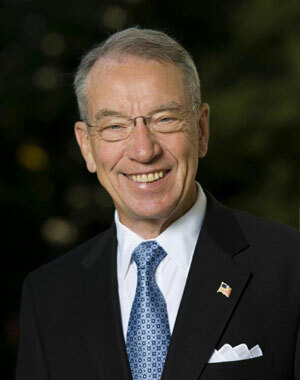 “Abusive litigation practices are stifling innovation and entrepreneurship,” Grassley said. Grassley is chairman of the Senate Judiciary Committee and a handful of the committee’s members held a news conference this afternoon (Wednesday) to discuss the bill. One senator said the situation has gotten so our of hand that restaurant owners fear patent trolls will claim to have the patent on spoons and threaten legal action if restaurants don’t pay up to avoid going to court. Grassley said the bill to be considered by the Judiciary Committee updates patent law to ensure there are clear, uniform standards for patent infringement cases.